Welcome to August's edition of #SpaVoice, the UK Spa Association's monthly newsletter . . .
National Spa week is around the corner so it’s time to plan how to use this campaign to your own business advantage. Whether you are a spa operator or a spa supplier, National Spa Week can help you attract new customers and retain existing customers. With a huge media turnout to our July press launch held at the Corinthia Hotel and Spa in London, it is looking extremely positive for some great publicity to promote the week to the UK public! 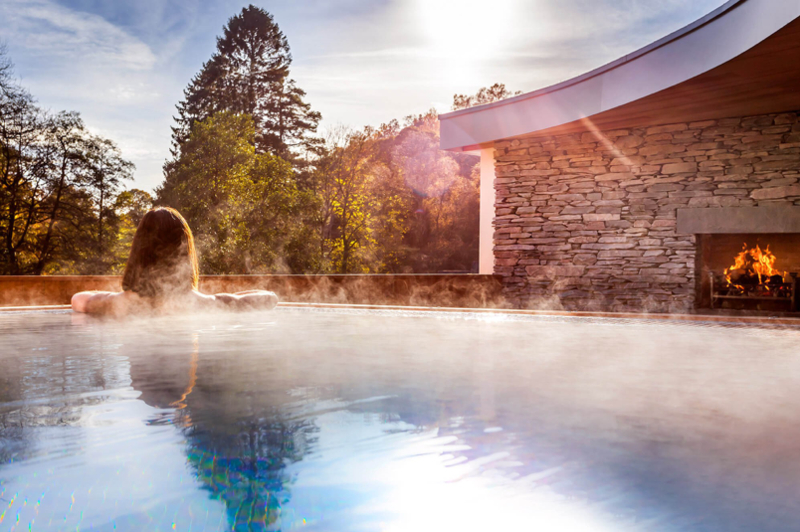 You can also read some thought provoking insights on the future of spa and wellness from Abi Wright, MD and Co-founder of Spabreaks.com - National Spa Week’s official booking partner. See how you can become involved and sign up via http://spa-uk.org/campaign/national-spa-week. With staffing continuing to be an issue within spa Industry we have a variety of articles that explore different aspects of the spa employee career path. From apprenticeships, to training and incentives, and even the transition from spa therapist to spa manager, we consider how it all helps to retain the skilled workforce we have; because as we know it’s more expensive to acquire new staff than to retain the ones we have. 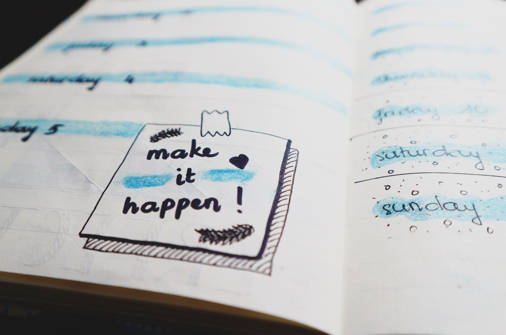 Finally, make sure your diary is up to date with all the events and trade shows over the next few months by checking out our event listings. If you haven’t got involved in National Spa Week yet then you need to get your skates on – or else risk missing out on leveraging what promises to be a huge amount of national and regional media coverage on the subjects of spa and wellness over the coming weeks in the run up to National Spa Week itself (10th– 17thSeptember). 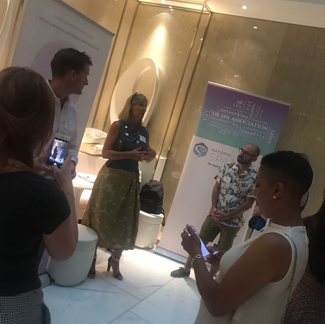 The media launch event was very kindly hosted by and held at the stunning Corinthia Hotel & Spa in London, (Wednesday July 25th,), as they are perfectly located on the doorstep of the press community, which helped make it as easy as possible for journalists to attend. 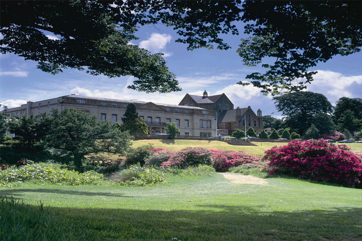 And of course – what a beautiful spa to exhibit what the spa industry has to offer! A ‘Celebration of Spa’ and our biggest ever National Spa Week yet - running from the 10th-17thSeptember 2018 with our campaign partners Spabreaks.com and Lumity. National Spa week aims to raise public awareness of the real physical, mental and emotional benefits that regular spa attendance can offer, and the importance of taking time for self-care by everybody and every mind. National Spa Week gives both spa operators and spa suppliers the opportunity to leverage and benefit from extensive press coverage, to their own business advantage. It’s free to take part, and with Spabreaks.com as our official booking partner we can offer the consumer a really easy, digital booking experience from the National Spa Week website. 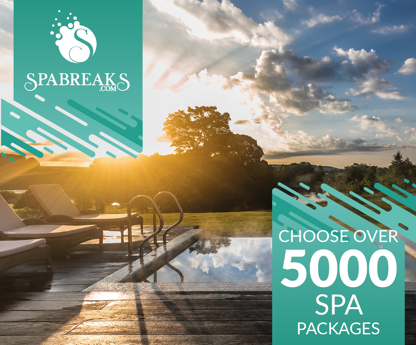 You will however need to register your exclusive National Spa Week package offer directly with Spabreaks.com first so that you can benefit from the on-line booking journey. Your package must fit one of two criteria, either an exclusive day spa or residential package that has a minimum of 20% off or an exclusive spa day package that allows a customer to bring a friend for free. Don’t forget to download your free marketing pack for National Spa Week and display the national spa week logo on your website. For suppliers, National Spa week is an excellent opportunity to show your support to your spa operator customers! Why not run in-house promotional events at selected customer's sites or provide a free gift with National Spa Week package booking.You can also display the National Spa Week Supporter logo on your website to show your support and feature it in any of your customer communications or on social media, to encourage even more spas, and consumers, to get involved. Don’t forget to notify the UK Spa Association team about your plans, so we can give you a shout out in our communications too. Over the past 10 years the spa industry has changed, and so too has our collective attitude towards health and wellbeing. In 2018, health is as fashionable as the Kardashians, and with that exposure has come a new appreciation of the many guises and components that can contribute towards meaningful, everyday wellbeing. This year, more than any other, we have seen the rise of the personal wellness trend. Where once we lived in a culture of . . .
Have you ever thought about using apprenticeships to train and upskill your staff? An apprenticeship is an excellent alternative to traditional training. It not only offers the chance to ‘earn while you learn’, but it is also a more practical approach to learning. By offering your staff the chance to undertake an apprenticeship, they’ll not only be able to upskill within the comfort and capacity of your business, they will also be able to . 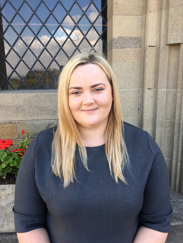 . .
Hanna Swindells of Shrigley Hall tells her inspirational story . . .
What made you want to work in the industry? What route did you take in? Strange as it may seem, from being very young I always wanted to be a chef. All throughout my education I dedicated most of my time to that career path, since starting to work at the age of 13 in a quaint farm owned Cheshire tearoom. I even went on to do further work experience at a highly reputable Cheshire restaurant. In my teens, I was so eager to get out into the food industry and work, but it was only when I went to the prospective college ‘show arounds’ that I had a . . .
Oh yay! It’s summer and yes, it’s oh so hot! Summer is funtime as we get to play outdoors, take a vacation, dig our toes into the sand and enjoy the coolness of a pool, pond or river. Your body is about 60% water. So keep drinking. Toss a little fruit slice in for some added flavour. My current favourite is a . .
One of the best things we can do for our team is work on keeping things motivating and fun. Everyone loves to know how they are performing, so it’s important to have brief regular (fortnightly tends works well) one to one meetings in which you can run through the individual team member’s performance and KPI reports and created personal targets relating to these. From the reports, you can track rebooking rate, course sales, retail sales, average hourly income, utilisation, and much more; this all helps you to get a . . .
Industry Events . 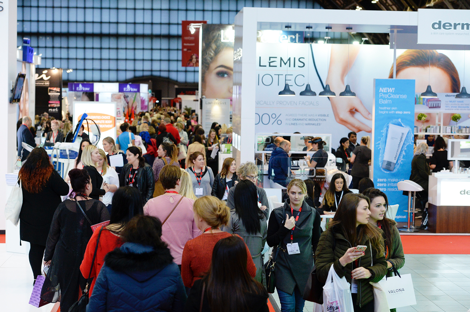 . .
Professional Beauty North, the biggest event for beauty and spa professionals in the north of England, returns to the iconic Manchester Central on 21-22 October. With over 600 brands showcasing their latest innovations and offering exclusive discounts, the event promises a first look at the trends set to impact the industry in 2019 as well as the chance to stock up for the busy winter holiday season. The return of the luxury spa area brings major players such as Aromatherapy Associates, Eve Taylor, Guinot, Image Skincare and Mary Cohr together in one dedicated place, complete with a Champagne bar for spa guests to enjoy when they visit the stands. Five live stages will hold a packed programme of education, training and practical advice from leading experts to help visitors further their training and boost their businesses. Sessions are just £3 each and will cover everything from creating an eco-friendly business to motivating staff. Full programmes will be live on the website soon. The Warpaint make-up and nail competitions will bring some of the industry’s best creative talents to the show floor alongside the new lash competitions, which have been introduced by popular demand, so students and pros can battle it out to put their name in the spotlight. Running alongside the beauty show are HJ Live North, bringing the latest trends in hair, and Aesthetic Medicine North, showcasing the more advanced treatments available, making it the perfect opportunity to explore the possibility of expanding your business in the coming year. Tickets are free if you register in advance. To register for your ticket, please click here. “SpaFest 2018 will provide people operating within the wellness sector with the opportunity to review their business in line with global trends and also take time out to look after their own wellness and personal development. This is a place for honest conversations with colleagues in a relaxed environment. 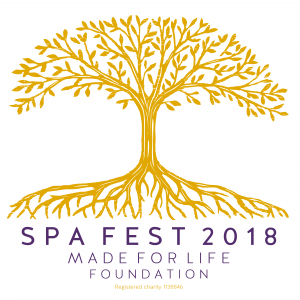 SpaFest is about bringing together a group of people across the wellness industry and enabling them to learn and connect, without having to sell or be sold to.” Amanda Winwood, Founder of Made for Life Foundation. Corporate and Social Responsibility (CSR). All profits from the event will go to the Made for Life Foundation (registered charity 1138846) to provide holistic support for people going through cancer. Two Day event tickets (for 20-21 September) are available from £250pp.. This ticket price includes conference, workshops and dinner at Stein’s, Fistral Beach (price excludes accommodation). How do we blend wellness with commercial integrity? How do we walk the talk and represent the industry authentically? How do we ensure that we truly make a difference and encourage people to come into this industry? How do we look after ourselves so that we can truly lead from the front? There will be no selling, just the opportunity to engage fresh ideas, with the beautiful Cornish coast as a backdrop. At the end of the first day, guests will meet in the bar for a casual stroll to Rick Stein’s Restaurant on Fistral Beach, to enjoy a relaxed and delicious dinner overlooking the sea, with musical entertainment from the Cornish sea shanty group, The Press Gang. UK Spa Association Events . . .
With the UK spa industry benefiting from steady year on year growth, you will recognise that your role as a Spa/Salon Director/Manager/Operator is more demanding than ever before. Pushing boundaries, stretching budgets and creating even more revenue from the same space you did in the previous year are just some of the challenges that you now face on a daily basis. Lisa Barden, previously the GM of UKSA commissioned a piece of research to help understand what you, the operators, need from your trade association. Feedback revealed that you wanted a regionally based support network for Operators, Managers & Owners alike. You didn't want to feel at ‘war’ with your neighbouring salons and spas but wanted a neutral place to share common challenges, operational issues and also best practice. So, in March 2015 the UK Spa Association launched an inaugural Spa Director Assembly at the Mandarin Oriental in London. Since then on a bi-monthly basis we have held Assemblies, both in the North and the South and we introduced the South West last year. Each of them are managed within a strict two-hour slot so as to minimise time away from each operation. The first hour of the Assembly is given over to industry updates and UKSA matters with the second hour touring the salon/spa and facilities. It doesn’t matter the size of your facility or whether it’s a five star 20 room hotel spa or a three-room high street salon, all Operators, Managers and Owners of Spas or Salons are welcome to join this supportive group of industry professionals ready to share their experiences with you. A key benefit of your UKSA membership. Simply contact the General Manager to register your attendance for the next Assembly. "Education of your local market takes time, planning and money. That all important message that brings more new customers into our spas and salons each week takes connections, knowledge of press contacts, and access to local bloggers. It makes complete sense, in our wonderful industry, with its highly fragmented ownership mix (i.e. mostly independent operators) to have a single focus that benefits us all.... roll in National Spa Week, a free to be involved framework, for all operators Nationwide. Sign up via www.spaweek.co.uk and gain new customers at no cost, what's not to like?"